and impairs the potential of people to succeed. We're Open! Come on over. This program provides food to be prepared at home without discrimination to eligible clients. Each month we provide five days of emergency food for every member of the household over the age of two. 2. 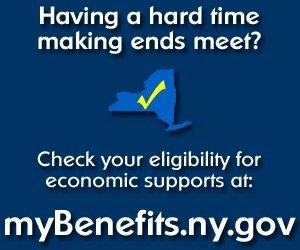 Meet income guidelines or qualify for SNAP (food stamps) or HEAP. 3. Provide the names and dates-of-birth for each individual living in your household. Fresh Foods is a collaborative food program with the Rohde Center, the Food Bank of Central New York and participating central New York grocery stores. TheFood Bank of Central New York delivers fresh produce, dairy, and bread donated by area grocery stores on a daily basis to community organizations for immediate distribution to neighborhood residents. Fresh Foods distributions generally occur once a month at approximately 20 local partner agency sites across our eleven county service area. Fresh Foods distribution is held at St. Cecilia's Catholic Church at 17 Grove Street beginning at 3:00 PM. You may register as early as 2:00 PM. NOTE: September distribution is on a Tuesday. 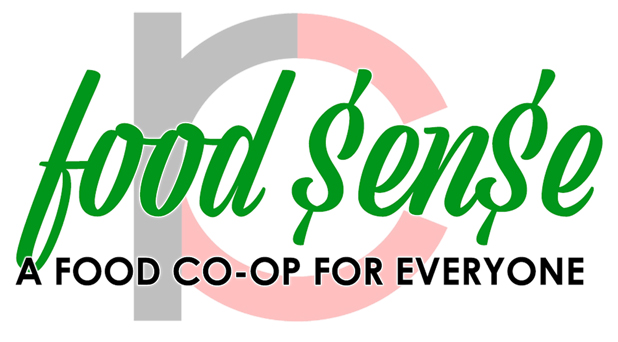 Join other Food $ense Co-Op members and receive your ADAMS FOOD $EN$E Member Loyalty Rewards Card . Once you've purchased 9 basic Food $EN$E units you will receive the 10th basic unit FREE! • Register, and pay in advance for your unit at the Rohde Center with cash, check or EFT. You may also order and pay on-line by clicking here: adamsfoodsense.org. On distribution day you can pick up your order at the Rohde Center between 3:00 PM and 4:00 PM. • More than one unit can be purchased each month and multiple specials are available. Customers find the food is worth approximately $35-40! There are no restrictions to order; if you eat, you qualify. • Bring your receipt when you pick up your order on distribution day and Bob's your Uncle; you will now be able to order the next month's unit and specials. If you are unable to pick up your order, give the receipt to a friend or relative to pick up for you. 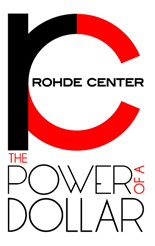 Donating money is the most direct method of supporting the Rohde Center. 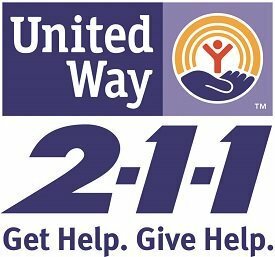 The Power Of A Dollar ensures that your donation makes a big impact - every $1 you donate can purchase over $10.50 worth of food for families struggling with hunger. As southern Jefferson County’s major hunger-relief charity, our food pantry donors helped supply food for over 109,000 meals in 2017, and 2018 has been even more challenging for families and children. You may donate by check, money order, your Paypal account or credit cards through PayPal. The Rohde Center always welcomes new volunteers for the Food Pantry, Fresh Foods, Food $en$e Food Co-op and other services we provide. Volunteers can work on a regular or intermittent basis depending on their schedules. We need anyone with a smile on their face looking to make a difference. No prior experience is necessary; basic training will be provided. The only thing we ask is for a friendly demeanor and a helpful attitude. Contact us for more information or fill out the attached form and email or bring it to the Rohde Center. The Rohde Center Food Pantry has been providing emergency food to residents of southern Jefferson County since 1977. We are 100% reliant on grants and donations of time, money and product. Over 75% of our income comes from private individuals & organizations. The remaining 25% comes as grants from The Food Bank of CNY. Every donation is an important part of The Power of A Dollar. As a member program of the Food Bank of CNY we can purchase over $10.50 worth of food for every $1 donated; sometimes even more. This is a powerful return on investment and the reason 89.5% of our food purchases come from this valuable resource. 4.8% of our food is purchased at local groceries and 5.7% is donated through food drives and individual food donations. We are run by an all-volunteer board of directors and one part-time, paid Food Pantry Manager and a dedicated group of volunteers. We are open 4 days a week, including Tuesdays until 7 PM, to allow working families an opportunity to access the pantry on the way home from work. Phone numbers are posted for emergency assistance when we are not open. Donating money is the most direct method of supporting the Rohde Center. When you donate to the Rohde Center, your gift makes a big impact - every dollar you donate can provide over $10.50 worth of food to families struggling with hunger. As southern Jefferson County’s major hunger-relief charity, our food pantry donors helped supply food for over 111,900 meals in 2017 and 2018 looks to be even more challenging for families, children and seniors. Hunger hurts. It denies dignity, lessens human energy and impairs the potential of people to succeed. The Rohde Center advocates for increasing the awareness of hunger in the community and promotes collaborative action to provide food to those in need.